Federal law on marijuana prohibition has created an intolerable legal mess. (Tell us something we don’t know.) What’s notable is this sentiment was expressed by the U.S. Attorney General William Barr, who indicated he preferred the system laid out in a bipartisan House bill that would reform the law, allowing – finally – greater harmony between state and federal marijuana laws. 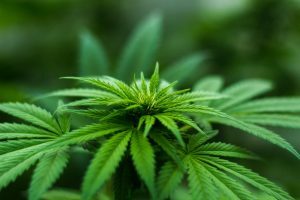 Barr’s remarks have cannabis business attorneys and others abuzz about whether this could be the true turning point that allows us to finally align federal and state marijuana laws. (It’s also worth noting they are in stark contrast to those of former U.S. Attorney Jeffrey Sessions, who was staunchly opposed to legal cannabis in any form or federal cooperation to facilitate it. Speaking to the Senate Appropriations Committee, Barr said his preference is a legislative fix to the clash in statutes, one that ideally offers express rights to states to decide their own marijuana laws. At this point, all 33 states with legal medicinal marijuana and 10 with recreational marijuana in violation of federal statutes – namely the U.S. Controlled Substances Act. The classification of cannabis under that provision simply defies logic, but it’s not less a possible risk. Los Angeles cannabis dispensaries, delivery drivers, cultivators, manufacturers and labs ALL should have a cannabis attorney on retainer to help ensure compliance with state laws and minimize the risk of federal ire on issues ranging from taxes to trade. Both the Department of Justice and the U.S. Treasury Department are actively reviewing a bipartisan bill with swelling support that would formally shield those in compliance with state marijuana statutes from the risk of federal prosecution. This has proved a major issue in the raids common early in the Obama Administration’s tenure, prior to The Cole Memo. Although the Trump administration has thusfar respected the memo (one of the few Obama legacies Trump has left alone), there is not guarantee this or the next administration wouldn’t flip the switch – absent a federal law. Interestingly, even lawmakers personally in favor of a single uniform federal law against marijuana legalization are starting to concede the situation isn’t sustainable. One example is Sen. Lisa Murkowski (R-Ala). She said if there cannot be consensus that allows federal prohibition, she’d concede to a compromise. However, she wants an approach that favors federal sovereignty on the issue. So rather than leaving states to their own devices on this and forbidding meddling by federal authorities, she floated the idea of a federal law that would create a single uniform framework from which states could work within. That way, the federal government retains jurisdiction. It’s not clear whether that would mean states like California would have to completely rewrite their cannabis laws. Marijuana lawyers in Los Angeles will be watching this development closely. The results of the reviews by the DOJ and the Treasury could be influential in whether the current measure (the Strengthening the Tenth Amendment Through Entrusting States Act, STATES Act for short). Both agency leaders said this bill (and another that would expressly protect financial institutions serving marijuana businesses) is being analyzed by top brass before a consensus is announced. This doesn’t exactly amount to a formal approval stamp from Barr, he did say the DOJ would not stand in the way to block passage of a bill like the STATES Act as written, which may be an encouraging foreshadowing of broad bipartisan support. next Next post: Happy 26th Birthday Hayley Rose!